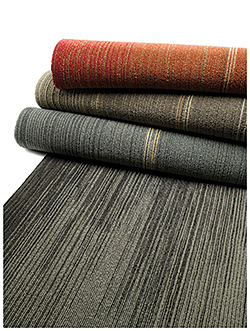 Dynex SD Lustre is high-luster solution-dyed nylon. It is designed for high-traffic areas that require a higher aesthetic value but require durability and cleanability, according to the company. Mimics look of hand-woven carpet. Colorfastness and light fastness help extend life and maintain appearance. Variety of bio-based, recycled and eco-friendly backings and cushions.